BrainCheck’s digital therapeutics products now will be fully integrated into Rx.Health’s RxUniverse digital medicine prescribing platform. Digital health firm Rx.Health, born out of Mount Sinai Health System and co-founded by Ashish Atreja, MD, is partnering with interactive testing company BrainCheck, founded by David Eagleman and spun out of Baylor College of Medicine, to bring BrainCheck’s cognitive and mental health tools into Rx.Health’s RxUniverse platform. 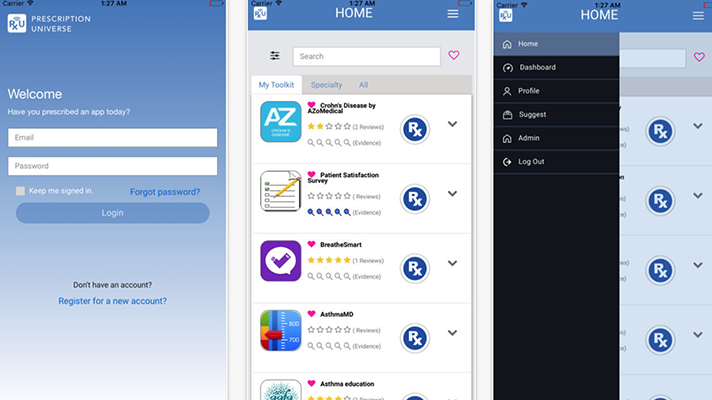 BrainCheck’s digital therapeutics products now will be fully integrated into Rx.Health’s RxUniverse digital medicine prescribing platform, which enables physicians to prescribe at the point of care evidence-based mobile apps, multimedia education, wearables and customized care plans for various diseases, procedures and surgeries. BrainCheck’s digital technologies provide doctors and patients with a comprehensive understanding of the brain to assess brain performance with neurocognitive testing, said Yael Katz, MD, co-founder and CEO of BrainCheck. Cognitive impairment and mental health conditions often go hand-in-glove, with depression leading to difficulty thinking and impaired cognition leading to depression. Because both cognitive and psychiatric conditions can lead to decreased quality of life, it is critical to assess cognitive function in all mental health patients, Katz said.